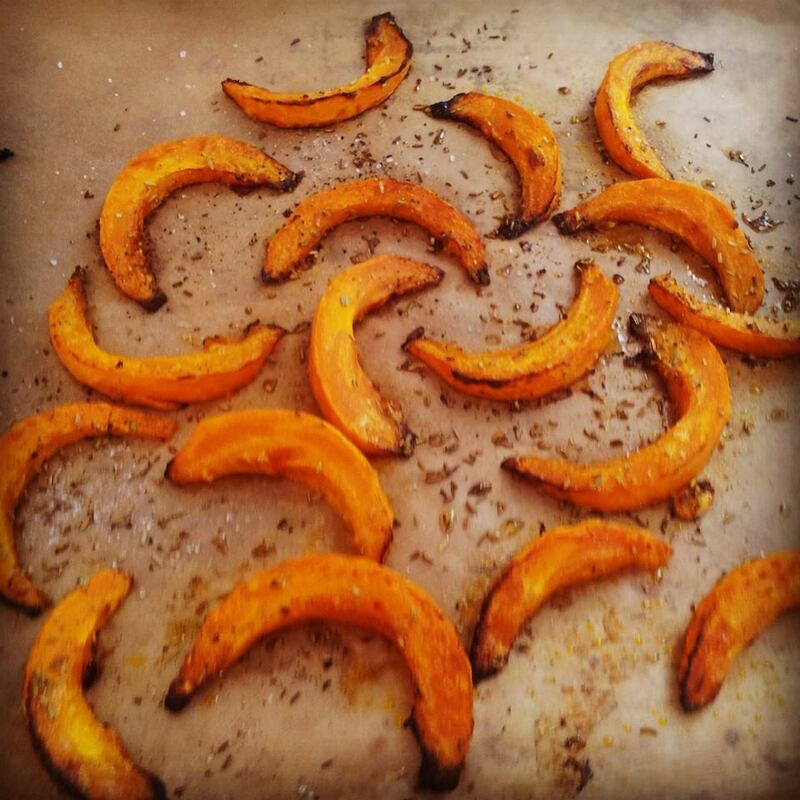 OVEN BAKED PUMPKIN1-2-3 and your one pan, delicious, autumly side dish is ready! Preheat oven to 200 °C. Mix everything on a backing paper lined backing pan and spread everything out so wedges don’t touch too much. Bake for 10-15 minutes or until soft in the middle. Season to taste. Done!